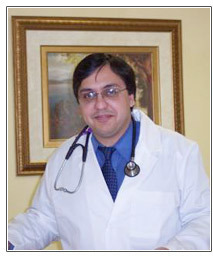 A pioneer who established the Virginia Medical Center, Dr. Idrees is an American Board Certified Internist. Dr. Idrees received his medical training at Saint Raphael Hospital, affiliated with Yale University School of Medicine. He has served the Purcellville community as an Internist and Urgent Care Specialist. Dr. Idrees practicing philosophy is to look after his patients with a loving and caring attitude. He believes that this approach, which comes from his heart and mind, puts his patients at ease and leads to successful treatment. According to him a successful medical practitioner is one who is not driven by monetary considerations but rather takes satisfaction from curing his patients and seeing them hale and hearty after the treatment is over. Now with his practice in the heart of Purcellville and years of internal medicine experience Dr. Idrees is better placed to serve the community and provide comprehensive care to adolescents and adults. This care includes the diagnosis and treatment of a wide variety of illnesses such as high blood pressure, diabetes, thyroid problems, asthma, emphysema, heart disease, high cholesterol, depression, anxiety and many others. Dr. Idrees is a devoted husband and father. He leads a happy life in Lessburg, Virginia, with his charming wife and a beautiful daughter. He loves to take part in extra curricular activities related to community welfare and charitable institutions. In his spare time he likes to read and play badminton.